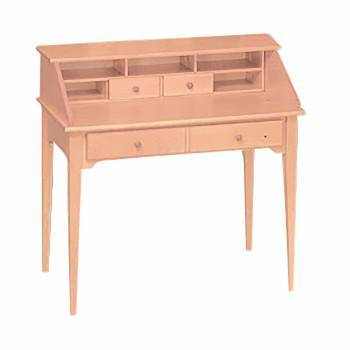 Office Desks in solid wood are hard to find. Pick out your Office Desks here today. Measures 39 in. H x 40 in. W x 22 1/2 in. proj. 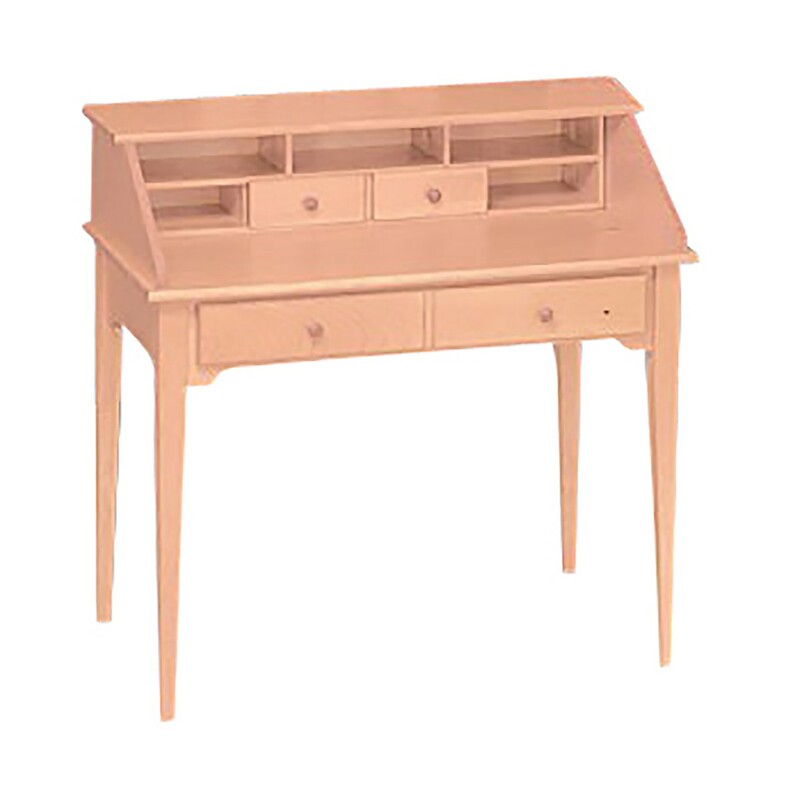 Classic Secretary Office Desk: Our secretary desk has a 7-cubbyhole top and side-sliding drawer fronts. It is crafted from unfinished solid pine. Leave as a natural finish for stain as desired. The drawer sides and back are plywood. Ships with legs unassembled. Optional double door shelf unit, sold separately. Coordinates with desktop shelf #111810. Measures 39 in. H x 40 in. W x 22 1/2 in. proj.